What Goals Should Parents Have for their Children? I am writing to you from the other side of the world. We have a 13 year old that has been swimming for 3 years now. It seems to be getting harder as we go along with all the politics and Parents that get involved. Wow, I’m sure you are familiar with what I’m talking about. Unbelievable! Anyway, our daughter is part of the senior squad and trains 6 days a week, 11sessions. Its a hectic busy life. We have great coach. What goals and advice do you have for us? Is there any reading material available for us. We are very involved, have been time keepers and we are both judges at the gala’s. I just to make sure that we as parents are doing it right. Eating, rest, goals etc etc.. I think swimmers are the most amazing sports people ever!! Yes, swimmers are quite amazing sports people… and so are their parents. 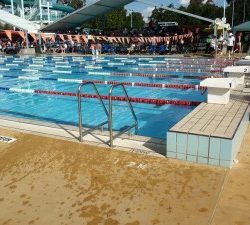 While being a parent of a child who swims is often hard and time consuming, there are also many great benefits of being involved in such a great sport. You are already making the most of some of these opportunities by volunteering as timekeepers and judges which is very commendable. My main advice for all swimming parents is to love your child regardless of their performance. Swimming is something that they do, not who they are. There will be plenty of opportunities to celebrate together and others where you will need to be there for your child. As far as goals go, supporting your child on a daily basis with transport and nutrition is a great start. Encouraging them on the ‘down days’ is also really important. The ultimate goal is for them to be happy and healthy and enjoying what they are doing. Apart from my book www.SwimmingForParents.com which has assisted more than 3000 swimming parents around the world to better understand the sport of swimming and their role, the best way for parents to become educated is to hold group sessions at their club and invite in guest speakers. Talking to their child’s coach will also provide you with valuable information. 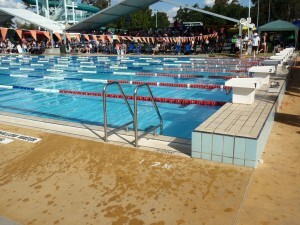 There are many books available on line in relation to sports nutrition including the eBook www.NutritionForSwimmers.com written especially for swimmers and their parents. It sounds like you are doing a great job as a swimming parent and I wish you all the best in the future. How to Stop Your Feet Dragging in Freestyle? One Response to What Goals Should Parents Have for their Children? I agree. For me some of the parents of other children are the worst thing about swimming. There are Parents who know my 9 year old boy’s swim times better than I do! It helps me to remain focused on my child, not compare him to anyone else but have goals for him personally, not focused on how other children are doing.